Given California’s long history in the entertainment world, it is no wonder that it is also home to some of the oldest and most historic theaters in the country. 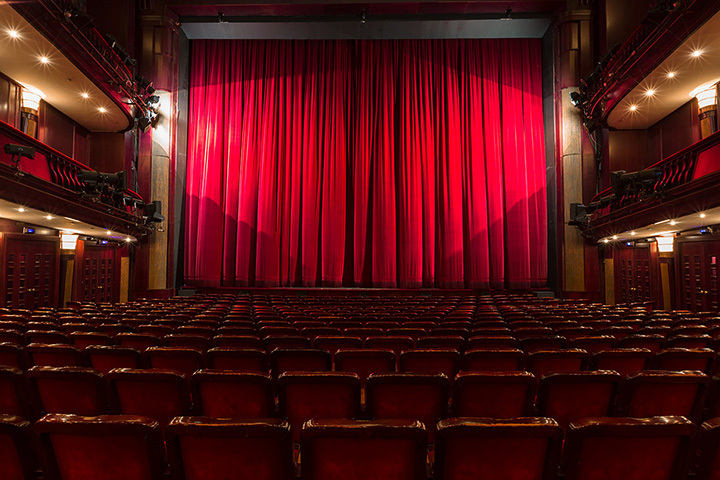 Many theaters have been reinvented as performing arts centers that are available for special events and showcases. Other theaters that were once silent cinemas have been updated and now show the latest and greatest in feature films. Take a look at 10 of the best historic theaters in California. The Pantages Theatre in the heart of Hollywood originally opened its doors in 1930. It has gone through various incarnations, as a movie theater for several decades and hosting the Academy Awards for many years. These days, the elaborate gilded theater has been updated and renovated and often features some of Broadway’s best plays. The Fox Village Theater is just blocks from the UCLA campus. The famous Art Deco front is often the location for movie premiers, but students head over frequently to catch the latest movies in the historic space. The ownership has changed throughout the decades, but the distinct neon lighting remains the same. The Minor Theatre is now an Indie house featuring modern sound systems, the latest in-theater dining and drinking and the hottest movies. But the modern features are housed in one of the country’s oldest movie theaters—dating back to 1914. It has opened and reopened over the years, most recently in 2016 as a family owned arthouse cinema. The first ever theatre in the state of California is located in Monterey State Historic Park. The tiny one-room adobe is currently in a state of disrepair as the parks seek to raise funds to help restore what once offered early Californians the only entertainment in the state. Now known as TCL Chinese Theatre, the themed movie theatre right on Hollywood Boulevard is as famous for the footprints that decorate the sidewalk as for the premiers it hosts. The over the top design has entranced visitors from around the world, as do the colorful characters that take photos with tourists. Another themed theatre on Hollywood Boulevard, the Egyptian provided inspiration for the building of the Chinese Theatre. Built in 1922, it inspired a new wave of Egyptian-styled movie theaters. The theatre is now home to the American Cinematheque film archive and offers special screenings and events. Not far from LAX is the Old Town Music Hall, a rare spot to enjoy silent films accompanied by live music on the Might Wurlitzer, just as they were shown originally. The cultural gem has been showing old movies since 1968 and is a must visit for any true movie fan. The Old Globe Theater in San Diego is modeled after the original Old Globe Theater in London, of Shakespeare fame. The Old Globe was built in 1935 to showcase abridged works of Shakespeare and today shows everything from Shakespeare to children’s productions. The Balboa Theatre dates to 1926 and maintains much of the same desire to create a place for families to enjoy films. The theatre offers second run movies at affordable prices and has changed a few things over the long decades but the commitment to entertainment remains the same, including hosting community events and festivals. The Vogue Theatre is over 100 years-old, dating back to 1910 and transitioning into the Vogue in 1939. It is well known for its screenings of foreign and indie films as well as features from major directors. The theatre found new life and new ownership in 2007 and now shows a mixture of classic and new films as well as the annual Mostly British Film Festival. View more California Theaters and Playhouses.